The surface epithelium of the proventriculus is a simple columnar epithelium at the plicae and becomes cuboidal in the depth of the sulci. In their apical part, the cells of this epithelium contain mucin granules. 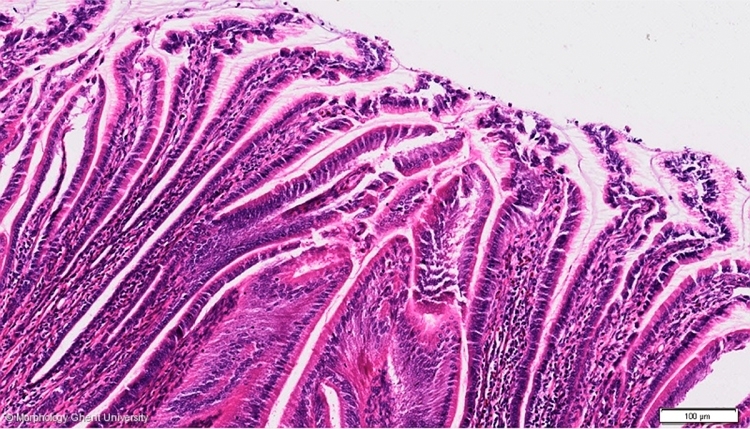 The primary duct is also lined by a simple columnar epithelium with supra-nuclear mucin granules. These granules tend to dissapear, closer to the glands.